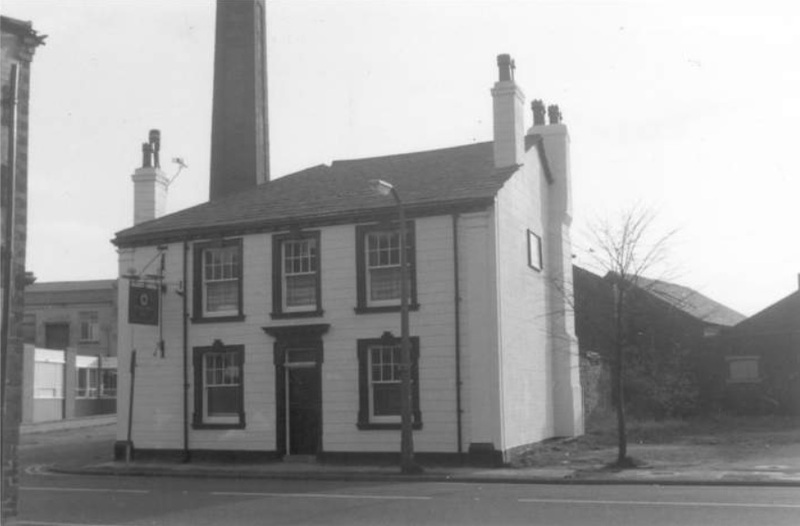 The Green Man Still started life as a beer house called the Boiler Maker's Arms. 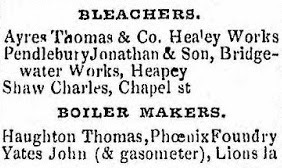 John Yates followed in his father Thomas Yates' footsteps and was a Boiler Maker by trade and lived on Lyons Lane from around 1848 until his death in 1863. 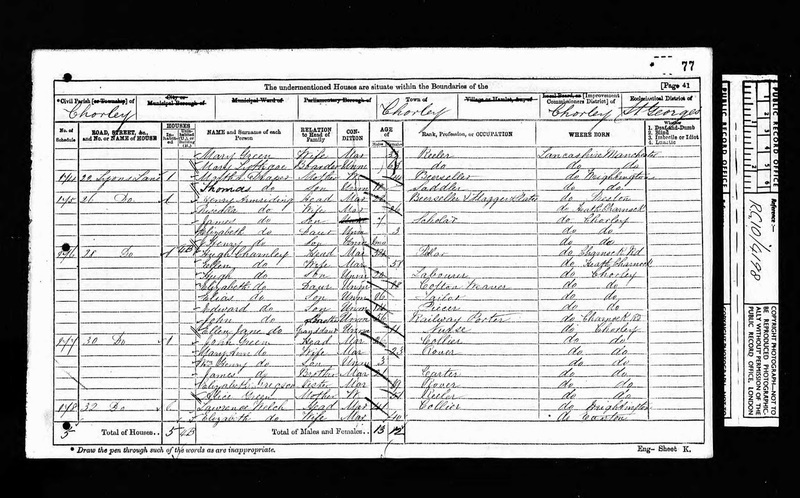 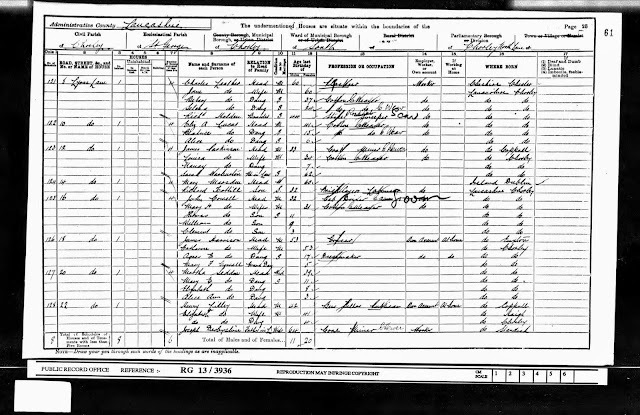 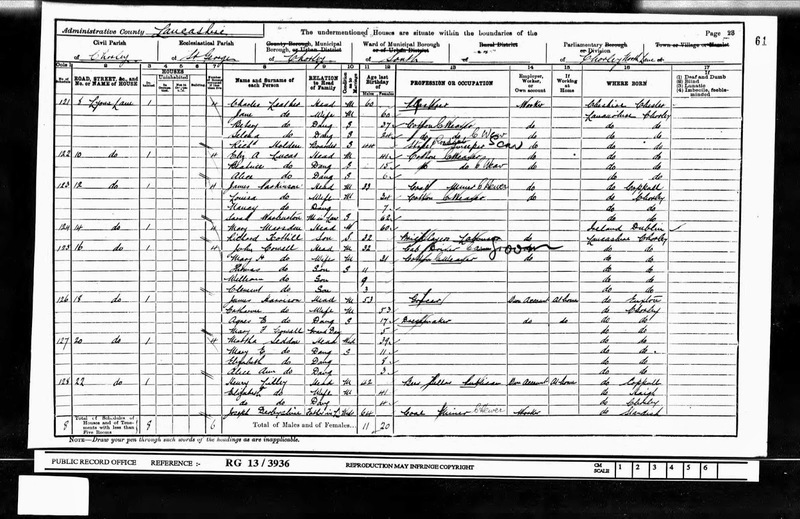 Birth and marriage records below confirm his primary occupation; directory and census records between 1851 and 1861 confirm he was also a Retailer of Beer. 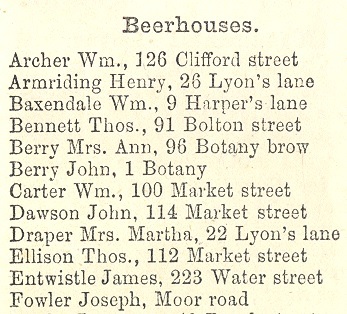 The press cutting further down the page from 1864 confirms the beer house was aptly known as the Boiler Maker's Arms. 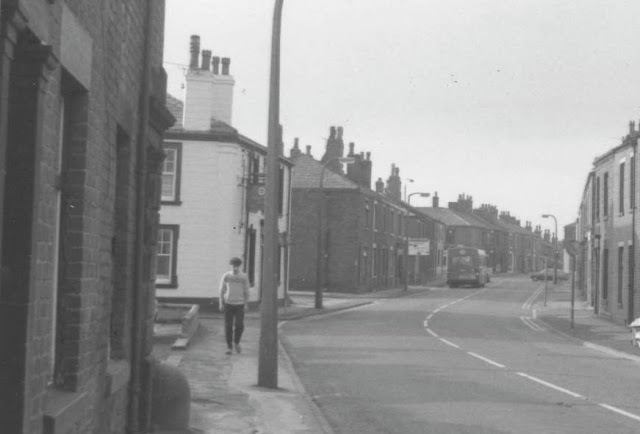 John and his wife Jane lived in Chorley, firstly on Halliwell Street and then Lyons Lane from the mid-1840s onwards. 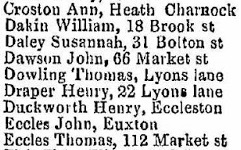 In 1841 John was working as a Boiler Maker living on Halliwell Street in the town centre but by 1848 the family had moved to Lyons Lane. 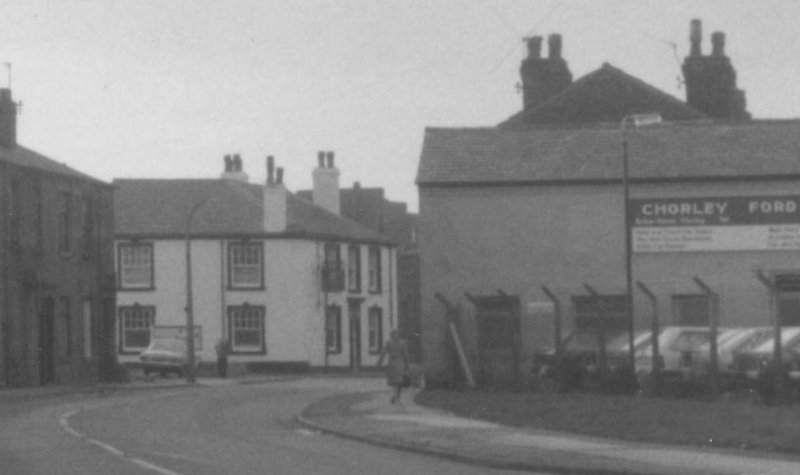 The Inn was first opened in the late 1840s and whilst these days it is no longer a public house, having finally closed its doors in 1985, the building still stands and is the home of an electrical retail outlet. 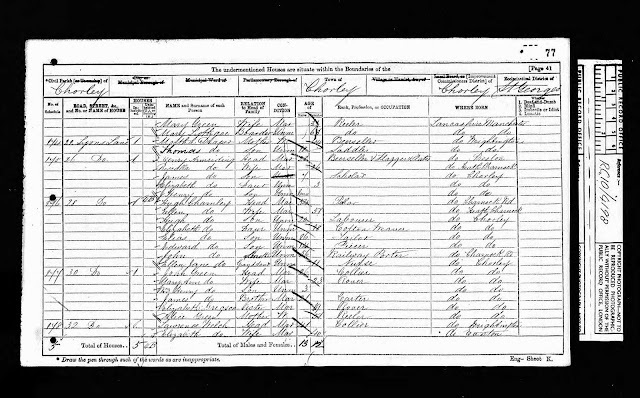 The listed landlords at the Inn were John Yates (1851-63), Henry Draper (1863-70), Martha Draper (1870-74), Thomas Lilley (1879-1882), Henry Lilley (1891-1924) and Allan Tillotson (1936-43). 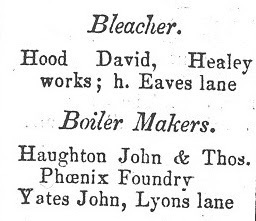 On the 1861 Slater's Directory both John Yates and Henry Draper were recorded as beer retailers living on Lyons Lane; John was also recorded as a Boiler Maker as shown below. 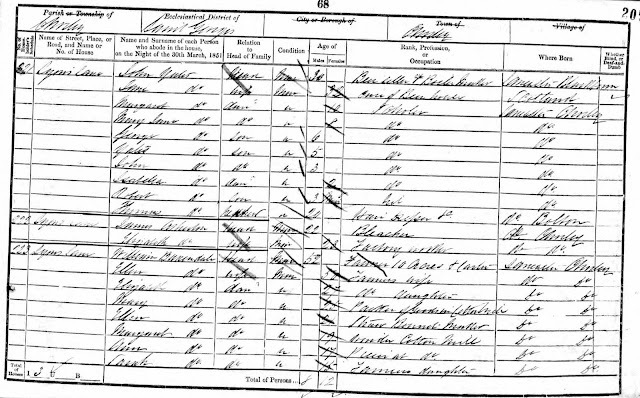 On the census of the same year the record confirms that the families lived next door to one another at the 22nd and 23rd properties along Lyons Lane on the enumerator's route (see below). This order placed Henry Yates at no.22, the site of the Green Man Still. 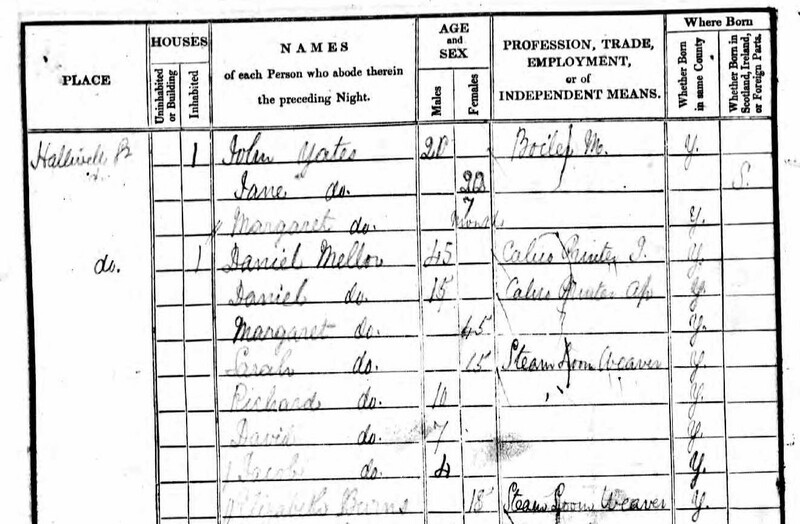 On the census above it's possible that the Drapers and Yates were living within the same property on Lyons Lane with the added annotation of "Mill", which relates to the Victoria Mill that was located behind the Inn. 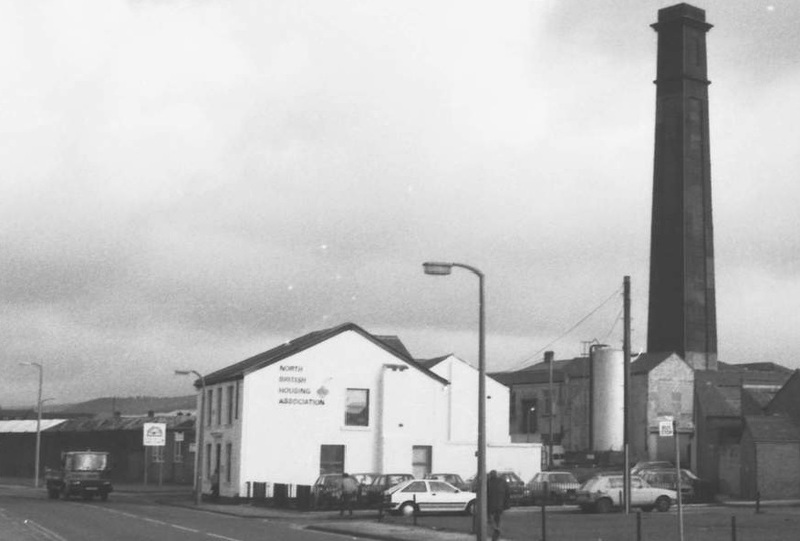 The only remaining part of the Mill now is the chimney, which is part of the Morrison's Superstore. 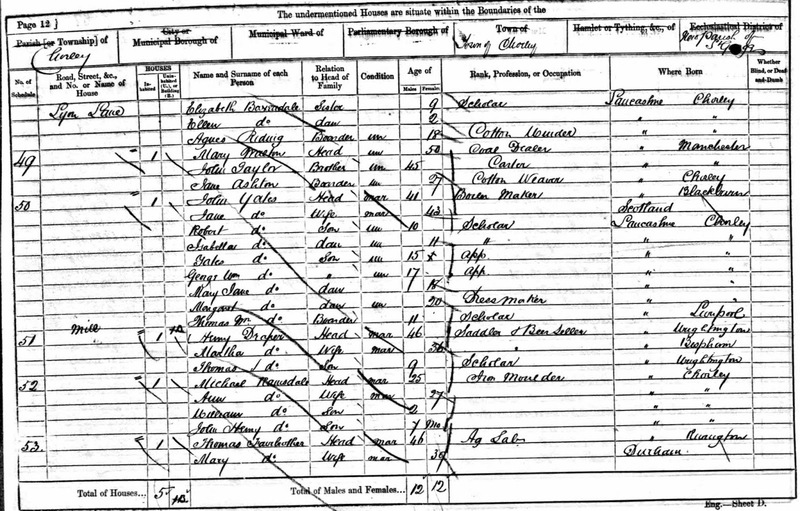 In 1863 John Yates died at the age of only 42 years leaving a widow, Jane and their six children. 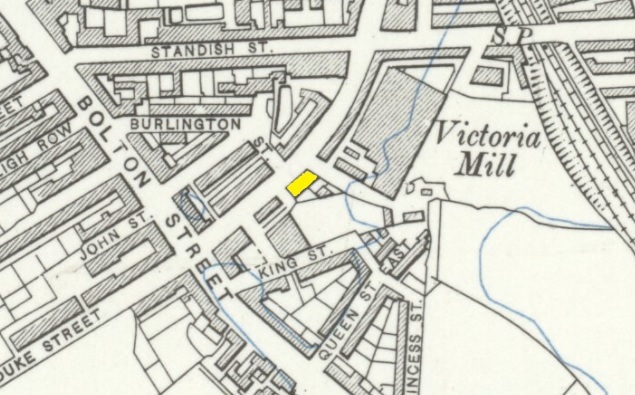 Following his death the family moved from 22 Lyons Lane; the children by this stage were in their teenage years. 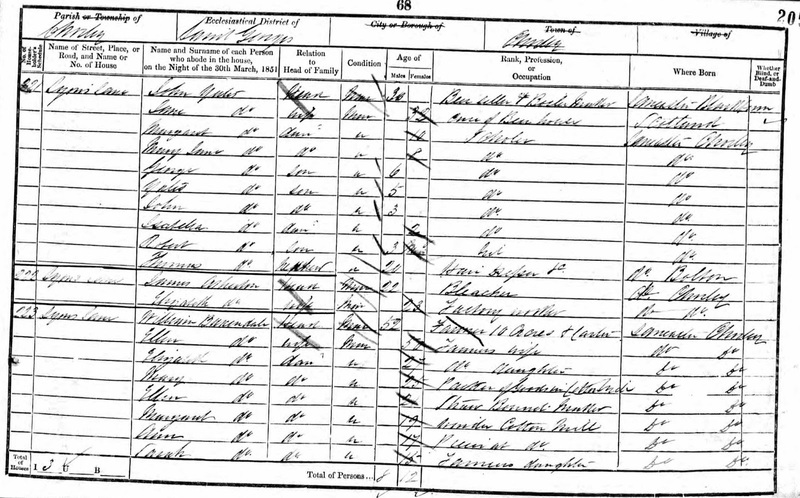 In 1871 Isabella Yates was working as a servant for the Registrar of Marriages Joseph Hindle, living at 30 St Thomas's Road. Yates Yates followed in his father's footsteps as a Boiler Maker and by 1871 had married and was living in Little Bolton. 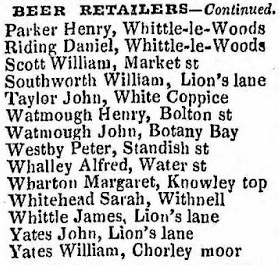 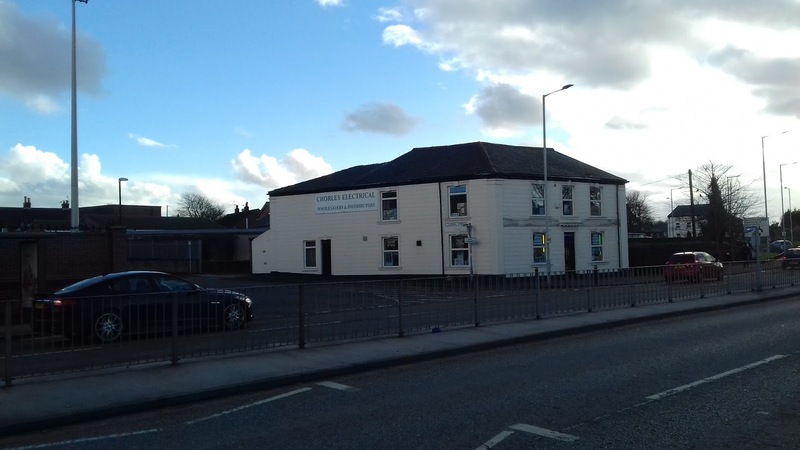 In 1864 following John Yates' death the below unsuccessful application was made to the licensing court in Chorley to elevate the Boiler Maker's Arms to Public House status. Henry Draper was to succeed John Yates as the landlord of the beer house in the mid-1860s. 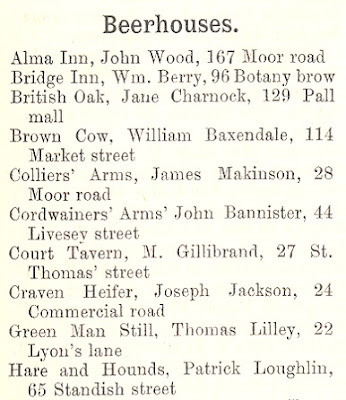 I'm not sure when the beer house changed its name to the Green Man Still but it appears this was done in memory of the original landlord, John Yates and was certainly no later than 1882 as recorded on the directory lower down. The name of the pub was an unusual one, but may have been a play on words, "Green Man" often being used as a symbol of rebirth and "Still" of course is a type of boiler. Having been refused a full licence as a pub in 1864 when operating as a beer house it wasn't until 1891 that there is reference to the occupation of the resident, a Henry Lilley as a "Publican", so I suspect it was finally granted a spirit licence and became a public house in the 1880s. 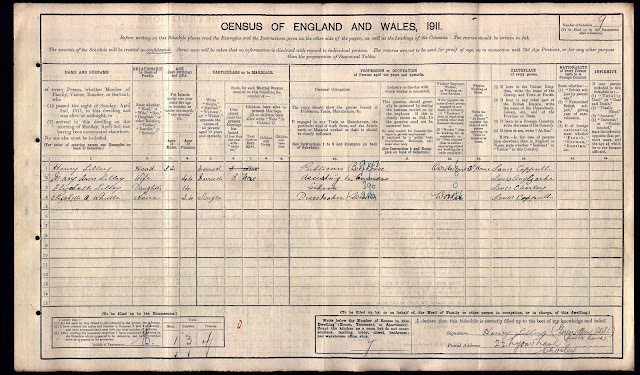 There is no reference to the name Green Man Still until the 1911 census when the addition of "Public House" was also added to the record (see below). 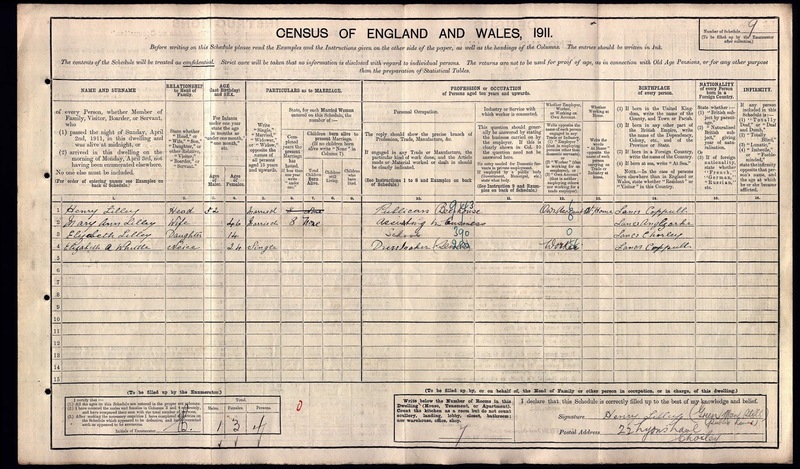 The landlord at the start of WW2 was Allan Tillotson. A number of other members of the family living at the pub around that time served in WW2 and thankfully all survived. 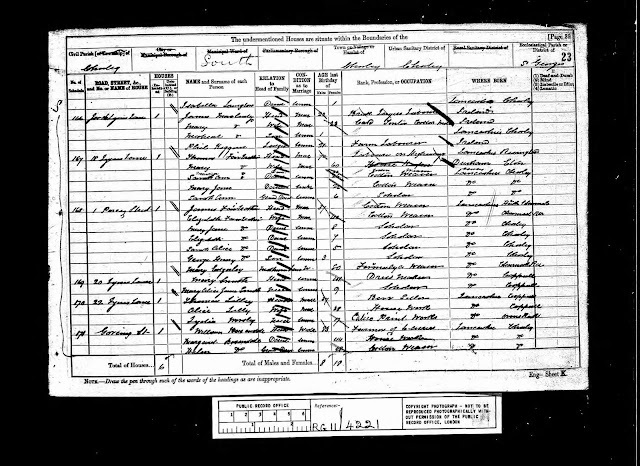 They were his son, Allan Tillotson who served in Burma, his daughters Florence Tillotson VAD nurse served in Ceylon (now Sri lanka) and India. 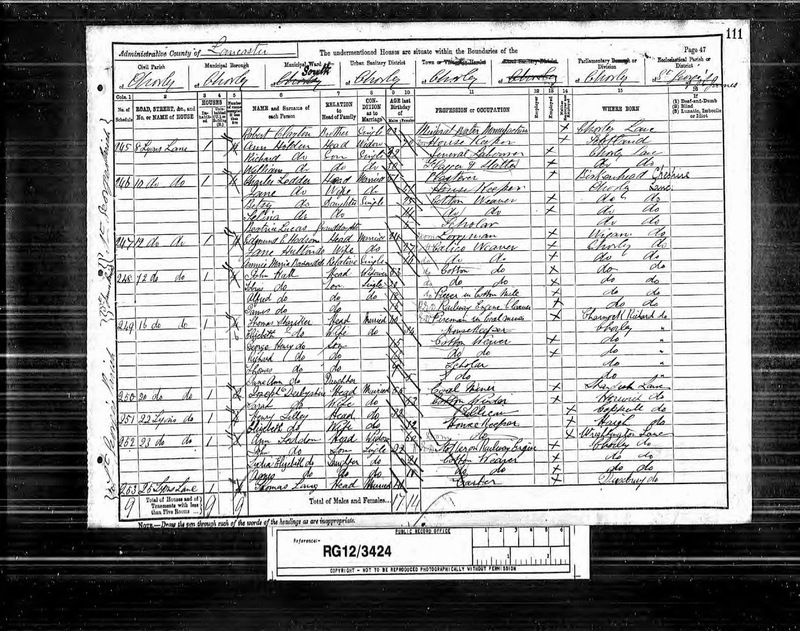 His nephews also served in the forces; Frank Tillotson was a gunner in bomber command and William Tillotson was in the Tank Regiment in North Africa; a truly patriotic family. Innkeeping seemed to be in the blood of the Tillotsons, as Allan grew up in the Borough Arms where his father, Allan Tillotson Snr was landlord in the 1880-90s until his death in 1897. 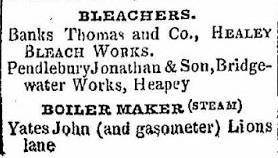 During the war the local coal merchant used to keep his horse Dobbin in the stable at the back of the pub and it seems likely that the advert below relates to the same merchant.